In March 2013 I attended a writing workshop with the Irish author John McKenna. John teaches creative writing on the Maynooth campus of the National University of Ireland. For the workshop with my local writers’ group he led us through a series of steps towards creating a story. First, describe a place, perhaps where some significant event in your life happened. Next, imagine a character, think about his/her strengths and weaknesses. Now put the character in the place. What might happen? Who might they meet? Compose a dialogue between them. The character I created during this process was a journalist who lacked self-confidence. I imagined him on an assignment to interview a business man about his latest venture, hoping to discover proof that the man is implicated in a conspiracy. Months later I revisited the same character for a short story in which I imagined how his first day at work as a trainee reporter on a local paper in the early 1960s might have gone. I include a version of this tale about half way through Transgression when Roger reminisces about being held back in his career by his lack of ambition. In thinking about the revelations that followed the death of Jimmy Saville, with similar allegations emerging about other show business celebrities, I could not help but ask to what extent the so called sexual revolution of the 1970s contributed to an atmosphere in which people close to those individuals, and, perhaps, even the victims, felt unable to protest about such behaviour for fear of being labeled prudish or old fashioned. A retired journalist ghost writing the autobiography of a local celebrity seemed like a suitable vehicle for such speculation. To do that in a full length novel, I had to think about what had happened to my trainee reporter in the half century that followed. What opportunities had come his way? Why was he still in the same provincial back-water? To a large extent this speculation about a journalist’s career was driven by curiosity about what might have happened to me had I become a trainee reporter as I had wished when I left school. 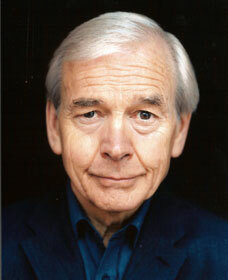 It is tempting to imagine having become a John Humphrys, anchoring a national flagship radio news and current affairs show. But the reality is likely to have been very different. The brutal truth is that only a handful of people achieve that level of success. Most of us are held back by conflicting needs. The difficulties faced by women, juggling family responsibilities and a career, are well documented and lamented by feminists. There is less recognition of the fact that men can, and often do, experience similar difficulties. Success requires the ruthless pursuit of ambition, the courage to grasp every opportunity that presents itself, regardless of the effect on loved ones. Working long hours, traveling a lot, means less time to bond with children. If the desired promotion demands that one move to some distant part of the country, or even a completely different country, one must be prepared to sacrifice frequent contact with parents and siblings. So, too, must one’s spouse/partner. Not all of us are possessed of such selfishness. We make compromises along the way, accommodations to emotional ties that mean the degree of success we achieve falls short of what we might have dreamed in our youth. As a young man Roger is told by a careers adviser, as I was, that he will probably end up as a local hack, a prediction that turns out to be all too true. When it was said to me, in 1958, there were still only 2 television channels in Britain. Only one radio station that broadcast in-depth coverage of news and current affairs. Newspapers were much thinner than today. There were no weekend supplements. So opportunities for budding journalists were very limited. It should be no surprise, then, that Roger does not progress beyond editorship of the local paper. His attempt, in later life, to make a name for himself vicariously through recording the life of someone who did follow her dream, despite the many difficulties encountered along the way, has unexpected consequences which I cannot reveal without spoiling your enjoyment of the book. By franklparker in General posts on October 4, 2015 .